David Harold Eastman pictured leaving court on 20 November. Photo: George Tsotsos. David Harold Eastman has been found not guilty by an ACT Supreme Court jury of the 1989 shooting murder of Australian Federal Police Assistant Commissioner Colin Winchester, devastating the Winchester family but bringing relief to those who believe that justice has finally been done. The jury had been deliberating on a verdict since last Wednesday (14 November) after an almost six-month trial. 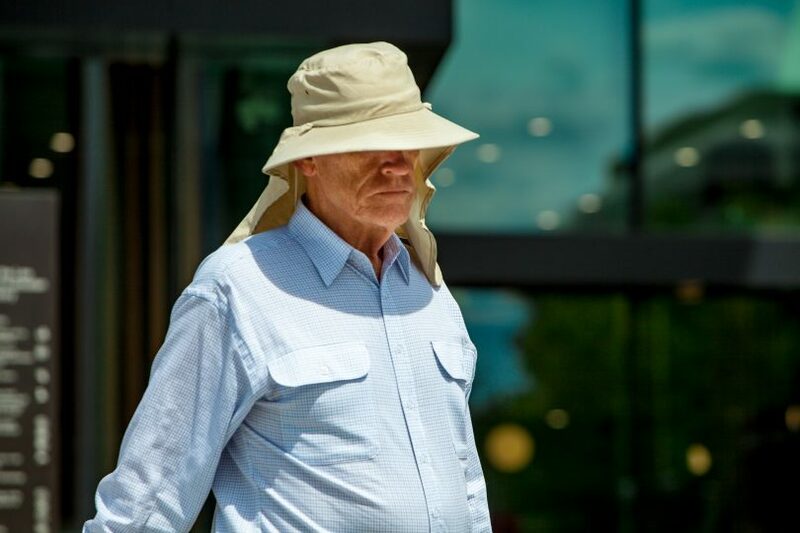 It is the second time the 73-year-old former Canberra public servant has been tried for the killing of Mr Winchester, who was shot with a Ruger .22 rifle fitted with a silencer as he got out of his car in a neighbour’s driveway in Deakin. There were gasps in the packed courtroom when the jury foreman delivered the not guilty verdict but Mr Eastman did not show any emotion. Acting Justice Murray Kellam thanked the jury for their dedication and discharged Mr Eastman without further ado. In a statement released to the media by former Victims Of Crime Commissioner John Hinchey, the Winchester family expressed its disappointment with the outcome. Mr Hinchey said outside the court the family would be gutted. He also acknowledged that this would be a difficult time for the AFP. “[The AFP] has stood side-by-side with the Winchester family. They have been loyal supporters as a group of people and as a profession. They would be heart-broken, I believe, and grief-stricken again. It’s another day of mourning for the AFP and the Winchesters,” he said. Despite the verdict, Mr Hinchey praised the head of the DPP Jon White for pursuing a retrial. “You can’t measure justice in terms of money, particularly when a senior officer of the AFP is assassinated outside his home in cold blood. You must pursue justice to the end,” he said. But Mr Eastman’s solicitor, Angus Webb from Legal Aid, said justice had been done. He said the 2014 inquiry conducted by Justice Brian Martin into the first conviction found there had been a miscarriage of justice and that there should not be a retrial. Mr Eastman himself did not appear outside the court. Former ACT Public Defender Terry O’Donnell said the case had been a ‘schmozzle’ from the start and the first trial had been a shambles, claiming the forensic evidence had almost certainly been fabricated in some respects. Mr O’Donnell appeared for Mr Eastman on the first day of his first trial, appeared for him on sentence and drafted the grounds for the 2014 Martin inquiry. “And I have been watching this with some horror. I’m relieved for him. I put a lot into it but the result was for Mr Eastman and Mr Eastman alone,” he said. He believed the defence theory of a Mafia hit was a valid one. “I had enough evidence to know that it is,” he said. He said it was probably too late to reopen the investigation, with many of the main players now dead. He believed that Mr Eastman had already begun civil proceedings in relation to his conviction after the Martin inquiry report had been issued. Mr Eastman had originally been found guilty of the murder in 1995 after a lengthy police investigation that included the bugging of his flat, and a difficult trial marked by the accused’s erratic behaviour. He was sentenced to life imprisonment without parole. 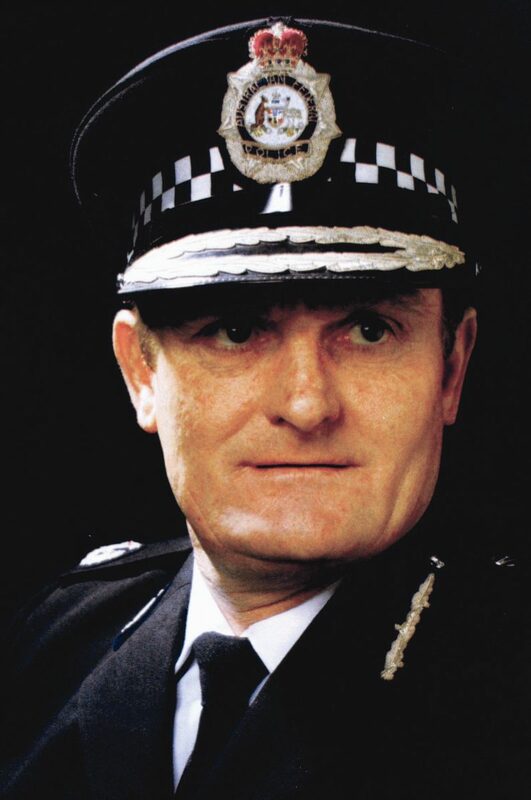 Slain Assistant Commissioner Colin Winchester. Photo: Supplied. But a dogged Eastman had always maintained his innocence and after years of appeals, the 2014 inquiry found there had been a miscarriage of justice. The Supreme Court quashed the conviction, released Eastman from prison after serving 19 years, and ordered a retrial, with Eastman going in vain to the High Court in a bid to stave off being tried again. The new trial began on 18 June with the prosecution mounting a mainly circumstantial case, arguing that Mr Eastman killed Mr Winchester because he would not help have assault charges dropped, threatening Mr Eastman’s chances of rejoining the public service. The court was told Mr Eastman had made threats against police and had also been searching for a gun to buy. The murder weapon was never found but police said it had been bought from a Queanbeyan gun dealer, who could not identify Mr Eastman as the buyer, although witnesses suggested Mr Eastman had been at the dealer’s house. A blue car similar to Mr Eastman’s had also been seen near Mr Winchester’s home in Deakin days before the murder. Mr Eastman’s defence rejected the alleged motive, cast doubts on the police tapes from the bugging operation, witness statements and proffered an alternative scenario that the murder was a Mafia hit related to Mr Winchester’s investigations into drug crops outside of Canberra. The police said a hitman would hardly buy a gun from a dealer in Queanbeyan. Mr Eastman, a former dux of Canberra Grammar, was considered to be a brilliant but unstable man who was his own worst enemy during the first trial, when he regularly sacked lawyers and disrupted proceedings. “The police said a hitman would hardly buy a gun from a dealer in Queanbeyan”. I think you mean the prosecution said this. I agree, but this is not evidence against Eastman, unless you believe the Klarenbeek gun was used in the murder. Isn’t it (much) more likely that the Klarenbeek gun is false evidence? Now I hope the ACT government sues the person whose evidence resulted in the retrial. The taxpayers will now be paying millions out to Eastman. That should not happen. He had a very fair trial. The busked for him being in jail for the last 20 years does not lie with us. It lies with himself and in particular with the person who withheld that evidence for those decades. Let Eastman claim damages from him, not from us. I can’t follow your spiral reasoning. “He had a very fair trial”. You mean like Lindy Chamberlain’s first trial? With the hyena-like prosecutor? The Winchester family have certainly ‘been to hell and back’ but so has David Eastman. Their comment putting their opinion above that of an empanelled jury could be seen as offensive. As someone who knows people who have worked with Eastman and with people who have had the “pleasure” of dealing with him as a customer, you would be hard put to find a person who has caused hell for as many innocent people. He was a nightmare of legendary proportions. They should now go back and reinstate all the charges and complaints against him that were dropped when he was charged with the shooting. That would be justice. But unfortunately we have a legal system, not a justice system. We had to put up with Eastman pestering us at The Tower Restaurant. The editor of The Canberra Times was also harassed by him as were many other business people in Canberra. Almost everybody had an Eastman story to tell. Complaints to the police about him were so frequent something had to be done to get him out of circulation. Correct verdict. Name me another occasion anywhere in the world where a rank amateur, apparently so deranged he incriminated himself with his muttering, calmly waited, unseen for a senior police officer to come home. He then calmly shot the man twice, both shots lethal – so the second shot was to make certain. All without leaving any evidence other than two spent cartridges and not seen or heard by anyone. Weapon vanished. Not even the professional hit men In Melbourne could do that! I doubt if the weapon was a Ruger .22 rifle either. More likely a small calibre revolver with silencer. The spent cartridges would be retained in the chamber and a couple of the ex-Klaranbek Ruger ones could have been dropped at the scene. The police never appeared to investigate links between Sydney underworld figures and certain Canberra people regarding ownership of brothels that were poised to benefit from the opening of a (legal) casino in Canberra. A certain high-ranking AFP officer opposed the casino and the rest is history. That’s a good point about the weapon. I thought a ruger rifle too clumsy for such a precise ‘double tap’. I read today that the cartridges were never formally linked to the bullets – so a suppressed pistol makes sense. Does this mean the police now have to find the real killer? The real killer returned to Calabria long ago and is probably dead by now. This was a criminal trial. This was not a court of inquiry, nor was the jury privy to all of the material gathered in the investigation. At the end of the day the jury was not satisfied that the prosecution had proved its case beyond reasonable doubt (a very high benchmark). Do not make the amateur’s mistake of concluding that a ‘not guilty’ verdict equates to ‘they got the wrong man’. Thanks for that professional opinion. Simply stating a fact. My experience with the criminal justice system goes beyond reading Frederick Forsyth. Nor does it mean that he got away for a crime he actually committed. With the verdict of ‘not guilty’ comes our acceptance of that. Never have I seen an alleged criminal fight so persistently for vindication. His is a gross injustice: not a life lived in a manner he chose but a life, 1/3 removed, for the purposes of others. “Nor does it mean that he got away for a crime he actually committed.” I never said it did. “With the verdict of ‘not guilty’ comes our acceptance of that.” Err, no. There is nothing wrong with believing on one hand that there was a prima facie case against Eastman, yet accepting that the jury found it could not be proved beyond reasonable doubt. The two are not mutually exclusive. Yes it does mean they got the wrong man. It means exactly that. The Martin inquiry showed a gross miscarriage of justice and recommended no retrial. Sheer bloody mindedness from the DPP led to this debacle – read Waterford in CT today for detail of the dysfunction within police and DPP. A professional killer lay in wait, double tapped the victim – and vanished, leaving nothing but two cartridges that were never linked to the bullets! The erratic, unpleasant etc Eastman was many things, but a professional killer he is not. Would that be the same Acting Justice Martin who noted in 2014: “While I am fairly certain the applicant [Eastman] is guilty of the murder of the deceased a nagging doubt remains.”? You could as well say: “Do not make the amateur’s mistake that a ‘guilty verdict’ equates to ‘they got the right man’ “.